Is your Company's past igniting future success? You are the founder--or CEO of a successful company and you've worked hard to see it grow. There were lessons you learned along the way, and stories you'd like to tell--to encourage your staff and galvanize your customers and community. This legacy of knowledge is something you want to share to inspire others. Perhaps your company is preparing for a significant anniversary or milestone.Your past is a rich reservoir of history that you'd like to maximize in your marketing. Maybe your company has merged with other companies and you want to unify all the staff by detailing history that brings staff together with a shared vision and mission. There are archives of photos and memorabilia. There are key leaders and employees who know the stories, too, but over time they'll be lost as people retire. You know that curating and harnessing your company history in a professional history book, you'll share the innovative spirit that was and is required to grow more successful. You want a high-end professionally designed book that will be part of other marketing and promotions for an event. You want it done to your specifications, but you need the turnkey solution you can trust will oversee a company history book that is done right. We would love to help you achieve this goal! You want to inspire staff and customers as to how your past has brought you into the present, how you differ, and why you've stayed the course. You have a legacy of stories, photos, memorabilia and information about your company and the lessons learned as it grew. There are stories from key people, both leaders and perhaps significant customers you'd like to preserve and share. You would like a turnkey, professional solution to create a company history book that pulls together stories, timeline and images into an engaging piece, but don't have the time or inside talent available. You have a curated polished professional company history book full of images, snippets of stories with the timeline that drives the narrative of key people and values your company has grown by. You’re employees learn the significance of your company's past through the powerful medium of story, and how the values and ideas of others are still present in the work they do today. Conversation flows as people realize the things they did not know and share more stories and ideas. Through stories of your company history, the community sees the flesh and bone of your company made up of inspiring leaders. The company's past has also impacted the community's past for the better. You know that documenting the stories only you and a handful of others know is important. a company history is something that would support your marketing, but more than that, it's sharing values and legacy that count as well. Time is wasting, and you don't have much of it on any given day. You want a company history book that is done right--something beautiful, something that will engage your audience. 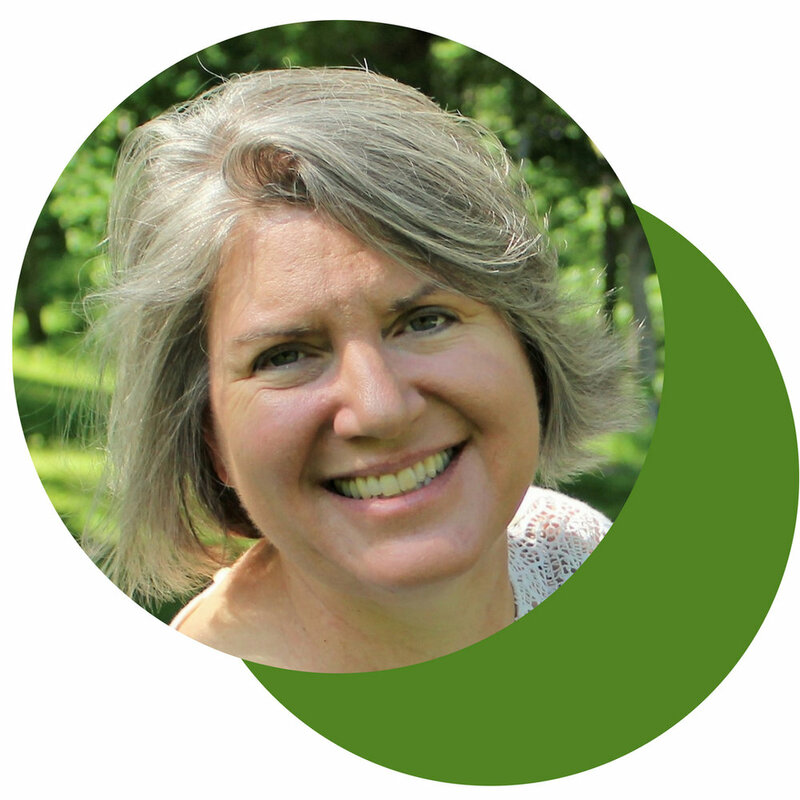 You're looking for an expert to do all the facets of book production. LET'S MAKE YOUR COMPANY HISTORY BOOK! Storied Gifts offers a complete range of writing, editing and book production services to bring all the stories and images you'd like preserved into a book. We'll recognize the accomplishments of key people and events that identify your company and help shape future success. A series of in-depth journalistic interviews that will capture thoughts of significant people, events and actions that moved your company forward. Extensive research and digitizing of images and memorabilia. Crafted prose that fleshes out themes, curates details and renders the engaging chapters of your biographical book. Custom design and expert layout that pull together the words and images with design elements to produce a professional and cohesive personally published book. Hard-bound color cover, optional color or black-and-white interior. A variety of size options for your company history available. "Sherry was a pleasure to work with and delivered exactly what I had in mind. 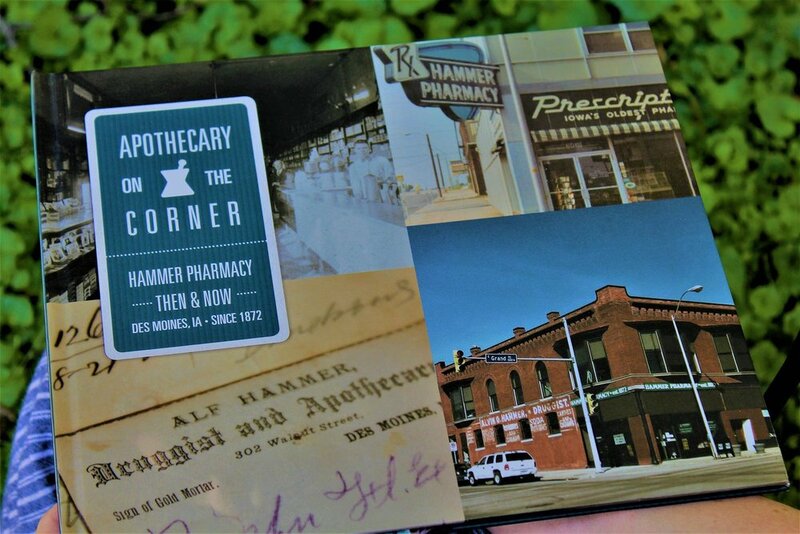 Hammer Pharmacy was a family owned business that grew into many other related businesses over the years. This book captured that history, our family and changes in the pharmacy industry. Our family was pleased with the outcome, and we've shared our company history with many interested in Hammer which was the oldest pharmacy in the city." Hi, I'm Sherry of Storied Gifts. About the time someone realizes how important their history is, and they recognize they don't have the time or the know-how to create their company history book, they contact storied Gifts. We are a personal publisher for those who know they are the history they keep. We help companies suss out the stories, the people, the wins and even the losses into an engaging and beautiful composition they'll proudly share with employees and customers. As a business owner, I love capturing and creating books that bring the personal lives of a company into focus so that others can appreciate the achievements, and what it takes to not only survive but thrive. LET'S GET STARTED CREATING YOUR COMPANY HISTORY BOOK! Thank you! Please use this link to receive your Free Download. 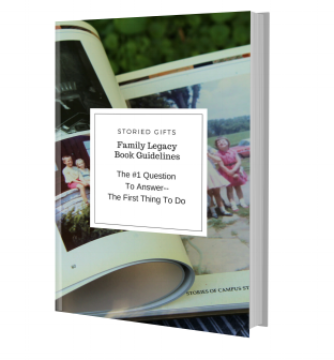 The First Question To Answer, The First Step to Take Before Beginning a Legacy Book Project. How much time will it take to complete my company history book? We won't lie--there is work to be done, but we'll do it for you. We know your time is valuable so we'll work with you to glean the scope of the project, your vision and objectives, and then we'll work with your company advocate to tap into as a resource. Timeline books are our specialty. These can involve loads of photos, snippets of text and stories combined with an over-arching timeline that drives everything forward. These are beautiful and visually splashy books, but they take a bit more time. If you go this route we will work closely with your advocate. We will discuss your goal and draft a contract that outlines everything so we can trust we're on the same page. you will receive monthly invoices detailing the work done to that point, and pay as we progress. I WANT A COMPANY HISTORY BOOK.